Mobile app development services have entirely transformed the business span, and depth for every information or services focused industry. The businesses have understood that mobile apps provide direct and seamless access to their respective clientele. The increased penetration has escalated marketability as well as improved data integration possibilities providing a robust platform for client service provider communication. The success of mobile apps for businesses is dependent on developing a structure which is robust, well integrated to the business process and formed on a stable platform with the right technology to sustain long-term services. The mobile app development wave has moved into the hybrid space which facilitates the coders to build the application in one platform and map implementation of apps on other platforms with a higher degree. The mobile app developed on hybrid platforms can successfully run across platforms as well as the future transition to web and desktop applications becomes easier. The selection of app development platform is one of the most critical aspects of mobile app development to deliver attractively, easy-to-use, and robust mobile app. The mobile app development domain has opened up various options wherein app can be built on either iOS or Android platform or cross-platform or web app platform. The selection of app development platform is driven by budget, customer base and business need and ease for the app. All types of platforms have their respective pros and cons, selection of platform needs to weigh in the factors to ensure robust app reaching across customer base irrespective of platforms and meeting the business needs with considerable ease. Based on the performance of available apps, it has been assessed that hybrid/cross –platforms are best-suited for most of the service industry businesses due to its reach across platforms as well as other technological advantages. 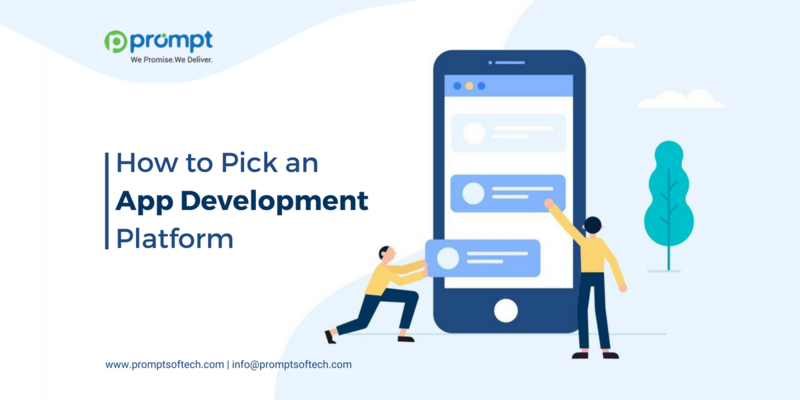 The subsequent stages in these processes are to understand a bit about the technology alternatives involved so you can be more conversant when you chat about the options with your mobile app developers. What are your preferences when it comes to building mobile app development technology? First, you have to make your mind up what category of the app works most excellent for you. How is Advanced App Development Revolutionizing the IoT World? The mobile apps developed with hybrid platforms are a notch above web applications as they utilize native tools of a mobile instrument while shedding away the limitations of web browser based apps. The mobile apps developed with a hybrid platform can be used over services like social media, photography, gaming and a host of other services because these are capable of engaging with native tools like camera, contacts, GPS, sound system and UI elements. Code sharing across devices and versions fairly simpler compared to other platforms. Development time reduced due to integration with web technologies. Flexibility to update the core of the app without going through the App Store. Microsoft-owned Xamarin has emerged as the favorite cross-platform for development in Common Language Specifications and Common Language Infrastructure. Xamarin tools in combination with C# based coding enables flexible development for Android, iOS, and Windows apps with native user interfaces and code sharing across these platforms. Xamarin in conjunction with .NET / C# has been ranked as the top hybrid mobile development framework. Xamarin has an immense degree of reusability, the ability for code sharing and excellent tools makes it the best available option for Hybrid app development which saves time and team efforts. The app development can be taken to a new high with a combination of Xamarin- Android APIs - experience for glass with the Android SDK and GDK. When Should You Develop a Hybrid Mobile App? The selection of mobile app development platform must hinge on the technical and commercial merits of hybrid platforms as compared to other stand-alone options, primarily because of the business needs and target objective of the mobile application for the business. Whether business need of the app is to provide an interactive space or whether business engagement is targeted with the platform? Is there a need for the development of an app serving multiple platforms? Will all the available app stores be engaged for making the app available to customers? Whether native tools of smartphone need to be utilized for enhancing app features? Whether there is an in-house team available to handle the depth and width of mobile app maintenance and servicing? The above is only the template of the pertinent questions which need to assessed and internally answered before deciding on the development platform. However, it is observed Xamarin with the right technology can serve purpose across operations. App development is an in-progress procedure and will go on even after the preliminary launch as you are given feedbacks and put together added functionality. Following enterprise mobile application development course of action will make sure a winning start of your mobile application. Prompt Softech is a top custom software as well as mobile app development company in India. As a service provider, we provide outsourcing of software development solutions and product development. We cover all the aspects of app production and implementation with a complete cycle of IT services. After checking the above app development process for your project, what queries do you have about making your thought into a thriving app? Let’s connect if you would like to converse about your mobile app development ideas and initiatives with us.